Okay, SC is back with another superb giveaway. 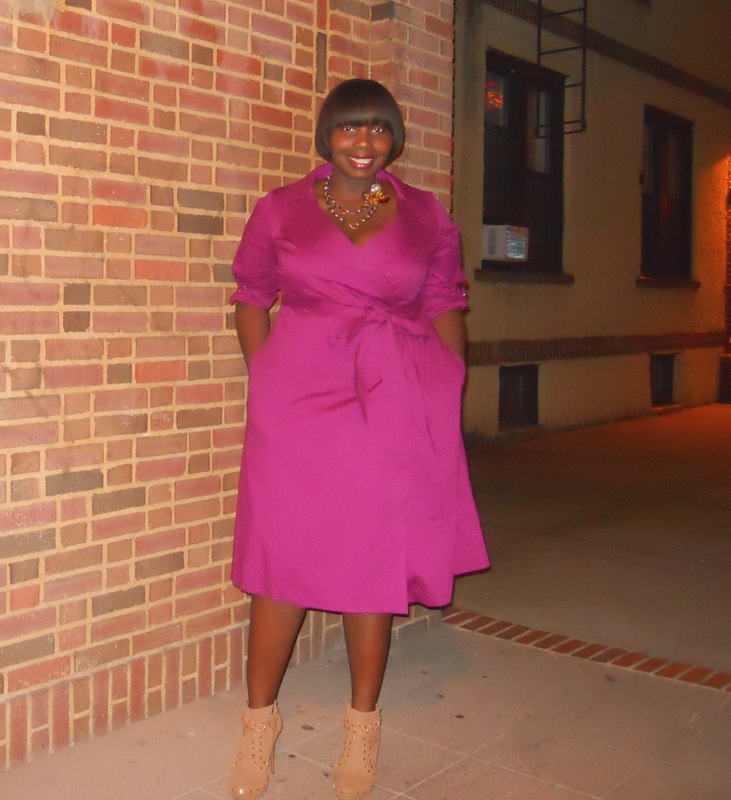 Last month I was gifted this amazing wrap shirt dress from Igigi. Let me just tell you how comfortable and striking of a dress this is. You know that I love bright colors and classic pieces. 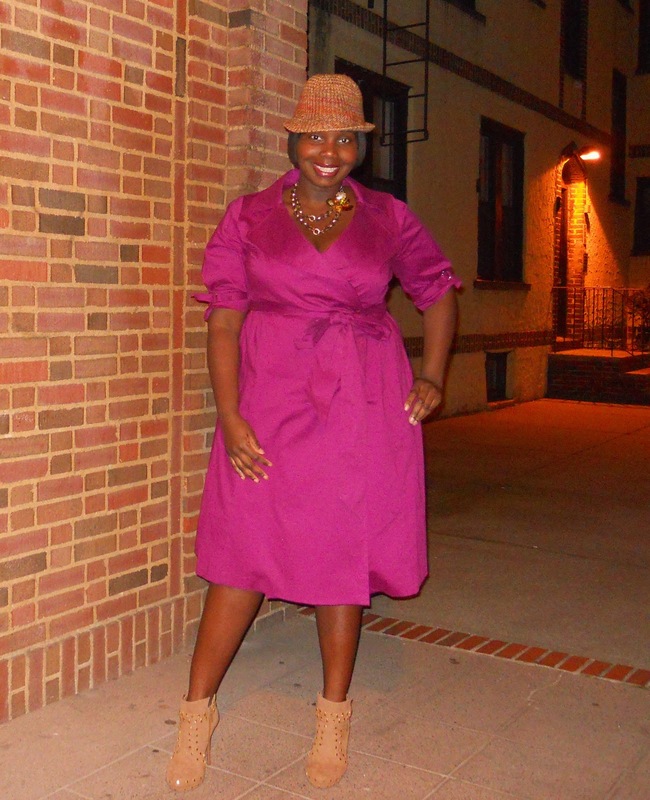 So it was a no brainer for me to choose this rich purple dress from the website. I first saw it at FFFWeek in NYC on the runway when it caught my eye. The dress is made of high quality cotton and the material is smooth. I love that the ties on the dress were super long because you could wrap it around your waist a couple of times. The portrait collar doesn’t make you feel all stuffy or button up. The color of the dress is a flattering rich deep purple. The pockets on the dress are deep enough to hold lip gloss, keys, and even a wallet. Normally I like my dresses slightly above the knee, but this dress hits below the knee which I actually liked. I love how universal this dress is. I can wear it to work, church, lunch, dinner, conferences, just about anywhere. The a-line flair of the dress gives off a very sophisticated look and is roomy enough if you carry most of your weight at the bottom. I decided to wear it with my studded ankle boots to add more of a youthful flair to the sophisticated silhouette. 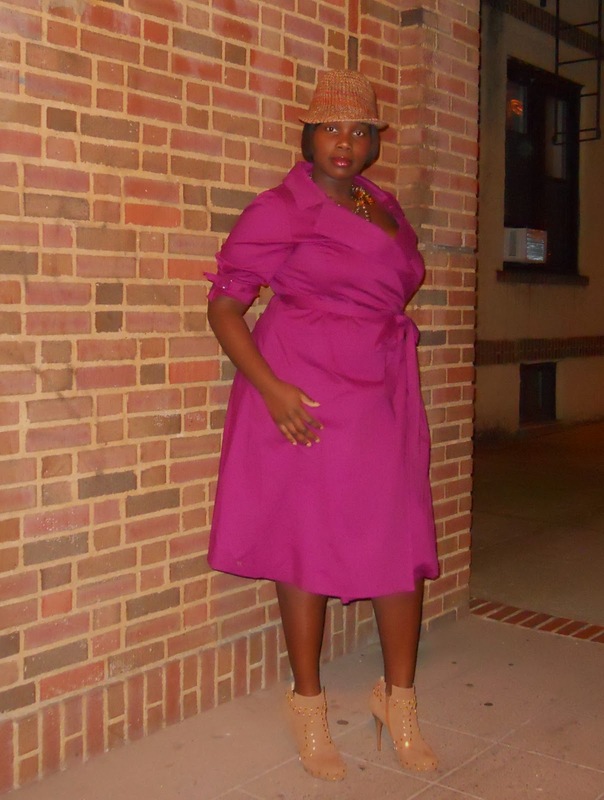 I also loved how it looked with my tan multi-colored fedora and my gold flower necklace. This dress has become a staple in my wardrobe and I plan on wearing it to death. Today is your lucky day. You can enter to win a $50 Igigi gift certificate (usable online). 3.For additional entries, you can retweet, post on FB, and post on your blog. The contest ends Friday Dec. 17th.